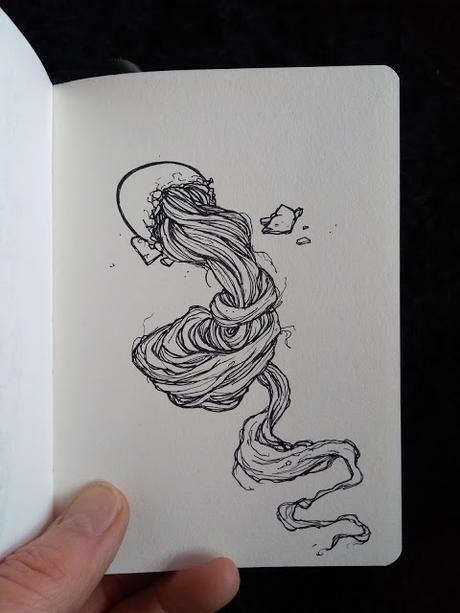 As much as I love spending hours walking around art galleries, scrutinising works by my favorite artists and discovering pieces by artists that are new to me, one thing that I always want to see more of is their accompanying sketchbook work. 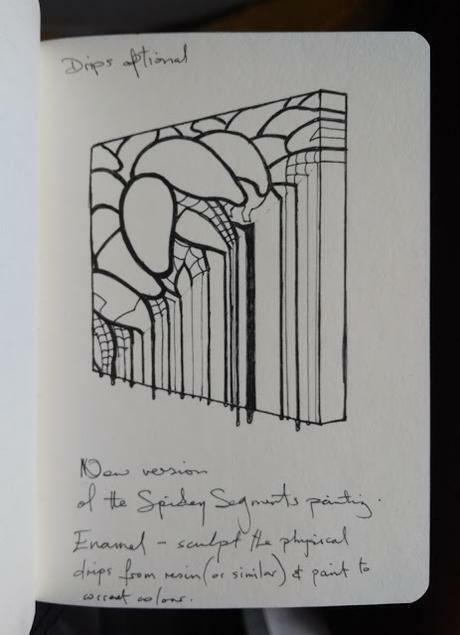 I'm fascinated by these visual diaries/notebooks and how they reveal the thought processes behind the finished works that we see up on the gallery walls. 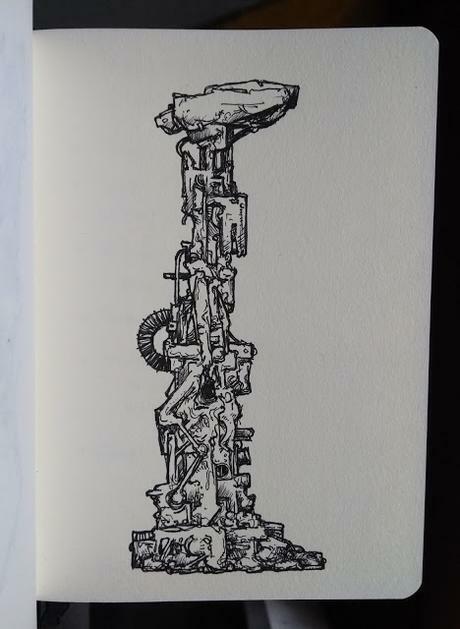 And it's with this in mind that I thought that I'd give you a little insight into my creative musings by posting a few recent scrawls from my current pocket sketchbook (these days I rarely use a sketchbook bigger than A5 size). My own sketchbooks are amongst my most precious possessions; probably the first things that I'd try to save in the case of a house fire. To me they serve multiple purposes. Often they are repositories for pretty much fully formed ideas for potential future artworks (mostly sculptures) - having long ago realised that if I don't get an idea down on paper straight away, I'm liable to forget it forever. But they are also where I go to work out the not-so-fully-formed ideas. Sometimes an idea is so vague that it's not until I start to see it take form on the page in front of me that it is actually realized. 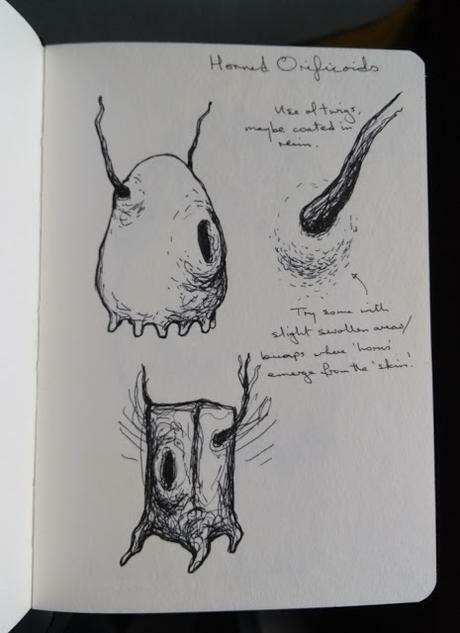 Sketchbooks are also great places to knock lumps off of forms before you attempt it in the real world. By this I mean that you can experiment and make your mistakes on paper, before you commit to the physicality of the actual sculpture. It's also a good place to refine the form of the sculptural work that you are going to pursue - the place where you discover its ideal outline. I have more ideas for artworks than I'll ever have the time in which to create them, especially since the act of constructing a sculpture always generates ideas for various different versions of itself (usually there will be multiple points in the construction of a sculpture where you are confronted with the option of taking the work in one of at least two different directions), so I content myself with the fact that if I manage to get my ideas down on paper at least the work exists in some form. 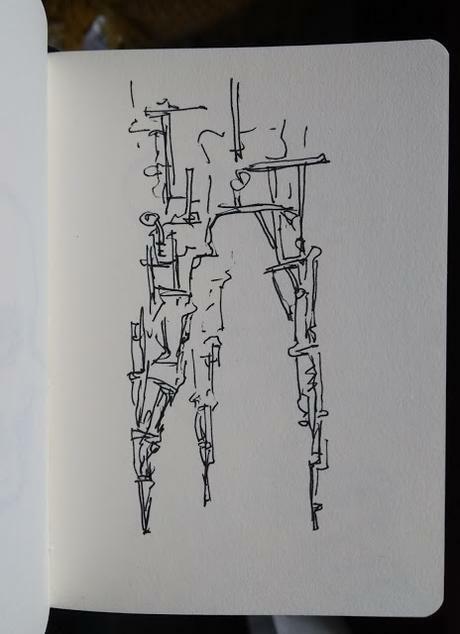 Although the majority of my sketchbooks are filled with preliminary drawings, I do also use them for making working drawings of mid-construction sculptures - as a way of working out some of the finer details of a work in progress. 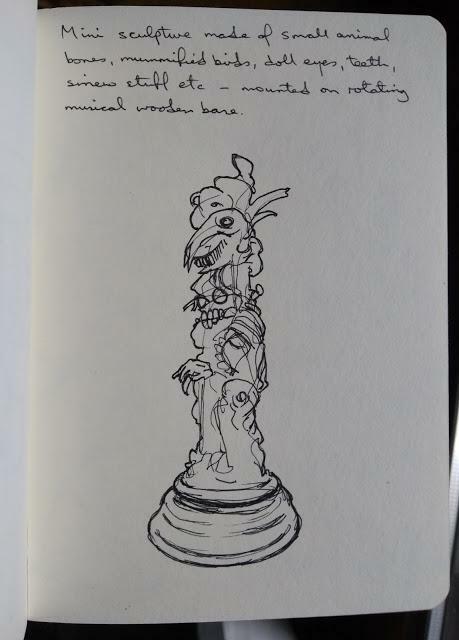 I find that it can also be useful to make sketches of sculptures that I'm working on, purely as a way of temporarily distancing myself from the sculpture, and in which to see it from a fresh perspective. As you've probably noticed from these few examples, I usually eschew the pencil; instead preferring to work directly in ink on paper. I like the immediacy of working with a pen. Knowing that you can't erase a mistake, trains you to be more accurate and economical with your mark making, or to incorporate rogue lines into the body of the drawing. Although, saying that, some of my thumbnail sketches can occasionally lean towards the clumsy, especially if I'm more interested in quickly jotting down an idea (usually accompanied with a few notes on materials and construction methods) than I am in pure joy of drawing. Another thing that I love about sketchbooks is that they can act as an inspiration store. 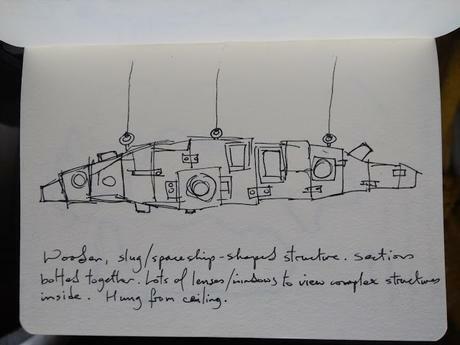 I have sketchbooks dating back decades and every now and then, when flicking through them, I will come across a forgotten drawing or set of notes that triggers an idea for a new work. I smile now when I think back to my early days at art college, when the tutors would try and impress upon us the importance of sketchbook work, and would demand to see a body of preparatory drawings accompanying each finished piece of artwork. Inevitably we would all disregard this - go straight ahead with our main piece of work, then, once it was finished, we would laboriously try and come up with the pages of 'preliminary drawings' that had led us to that end point.